Toby Bozzuto said he always knew the apartment community called the Arbors at Arundel Preserve was going to do well. But he said he had no clue it would do this well. 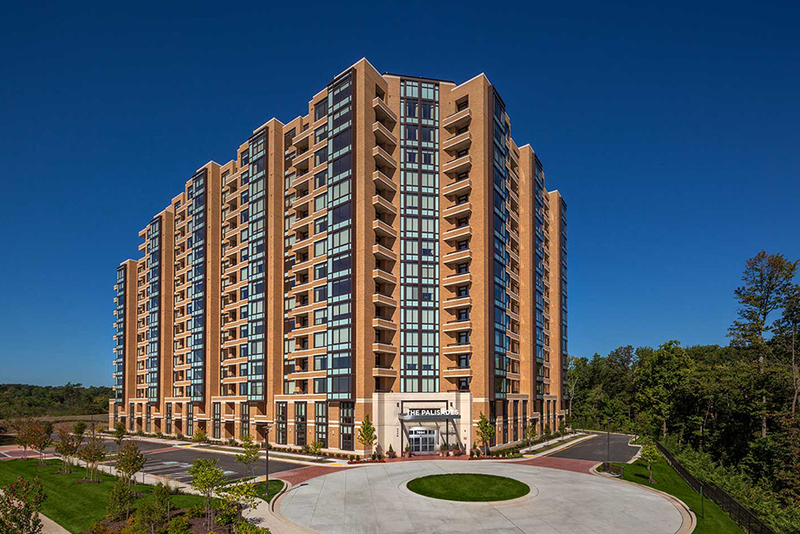 "This is the fastest-leasing project in the history of my father's company - and that company is 20 years old," said Bozzuto, executive vice president of Greenbelt-based Bozzuto Development Co. The Arbors has been leasing an average of 40 to 60 units per month since April when the first ones were ready, he said. That blows away early projections of a 20 unit-per-month absorption. "We found something that really resonates," Bozzuto said. "When you don't cheapen the product, but provide something authentic and real, and people respond? It's wonderful." Apartments at the Arbors have nine-foot ceilings, maple cabinetry, black appliances, and six-foot windows. The clubhouse features a two-story stone fireplace. Marketing literature plays off the architecture, touting: "Water. Stone. Wood. Air. Fire. Light. Brought together for a lifestyle of perfect chemistry. Created to address the human element. You." Bozzuto said the project's inspiration included some of his favorite architects, such as Frank Lloyd Wright and turn-of-the-century brothers Greene & Greene. He pulled pictures from a project book of the latter and gave them to the Arbors' architect to illustrate a feeling. "We try to go beyond just making the buildings look pretty and really think about how these people live and how they want to use the buildings," said Steve Gresham, principal architect in the Alexandria, Va. office of Niles Bolton Associates, the project's architect. A grilling area, swimming pool with lap lanes, fire pit, fitness area, and fountain are all part of the escape that the Arbors is selling. Even parking was designed to create a quick trip from car door to front door, Gresham said. "We wanted to make that transition from their commute to their home as easy as possible," he said. Many of those who live, or will live, at the Arbors work for the National Security Agency or another job at Fort Meade, just down the road. It's a hectic area, and it's about to get more so thanks to BRAC, the federal Base Realignment and Closure plan. The apartment complex was in the works before Anne Arnndel County discovered that BRAC wouJd mean between 9,000 and 14,000 direct, indirect, and induced jobs being created in the county over six-plus years. The project would have worked even without it, Bozzuto said. "We knew that all BRAC would do would be to add the cherry on the cake," he added. Historical data suggests that typically only about 30 percent of existing workers at a BRAC-affected facility tend to relocate, said Robert. C. Leib, Anne Arundel County's special assistant for BRAC. These often aren't the workers with kids in high school, he said. "The ones that will more likely make the move will be the younger ones," Leib said. "So this sort of effort will definitely have a market." The Arbors is one piece of Arundel Preserve, a 268-acre, mixed-use community. As the multi-fanuly and hotel developer at Arundel Preserve, Bozzuto is one of a handful of developers involved there. Chesapeake Real Estate Group of Glen Burnie is handling retail. Toll Brothers of Horsham, Pa. has the title of townhome and single-family residential developer. Columbia-based Corporate Office Properties Trust has got the offices. And Somerset Construction Co. of Bethesda, the landowner at the Arbors, has the title of master developer for Arundel Preserve. Bozzuto said plans are moving forward toward another phase of the project which - along with a Summerfield Suites hotel, offices, and retail - will include 242 more apartments.